TeamCME is the Largest Network of DOT Medical Examiners in the US! Provide ethical, cost-effective, safety conscious Driver Helpful CDL Physicals where the same exam procedure and criteria is used in determining medical certification from coast to coast. How can TeamCME do that when no one else can? TeamCME provides Advanced Certified Medical Examiner Training, medical examiner resources, cutting edge innovation and cost saving strategies to our member clinics. Our members know they can always call us for those difficult medical certifications, DOT alcohol testing and DOT drug testing situations. When it comes to sleep apnea, we have the fair, ethical, low-cost protocol for determining which drivers must be tested, which drivers must be treated, and how to obtain yearly clearance from the sleep specialist. Using TeamCME protocols for other medical conditions and medication use, we train our members to “bullet proof” their driver status decision to provide protection to the driver, the motor carrier, the public, and their own practice. TeamCME’s Driver/Pilot/Mariner Mobile App: Our driver mobile app and online map helps drivers to find a nearby DOT Physical Exam clinic regardless of their location . The online map and the driver app allow the user to choose from CDL Physicals, Flight Physicals, School Bus Physicals, merchant mariner medical exams and DOT alcohol and drug testing locations. Never forget to renew your Medical Certificate Again! Download the mobile app and get “Expiration Alerts” sent to your mobile device beginning 2 months before your certificate expires. Available for iPhone and Android Devices. Don’t want to download an app, use our online map on TeamCME.com. TeamCME is more than just a network. Much more. Dr. Megehee was appointed by the Federal Motor Carrier Safety Administration (FMCSA) in 2005 as a member of the National Registry of Certified Medical Examiner (NRCME) Brainstorming Sessions and as a Subject Matter Expert member of the National Registry Working Integrated Product Team (WIPT) that developed the Survey instrument used to establish the basis for NRCME certification. He was appointed to the National Registry Education Team that developed the core curriculum for the accredited physician training and he assisted the Test Team to develop and write test questions for the National Registry Certification Test. He continues to serve as a FMCSA National Registry “Champion”. Dr. Megehee was the first Doctor of Chiropractic to become a Walmart Designated Distribution Center Medical Examiner. 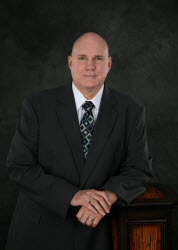 Dr. Megehee is past Secretary/Member of the Oregon Board of Chiropractic Examiners, Delegate to the National Board of Chiropractic Examiners and Delegate to the Federation of Chiropractic Licensing Boards. He served as Vice President of the American Chiropractic Association Council on Occupational Health. He is a Post Graduate Faculty member of the University of Western States, a Master Lifeloc Breath Alcohol Technician Trainer, and a past DATIA Certified Professional Collector Trainer having completed Advanced Drug Testing Management. Dr. Megehee completed AAMRO’s Medical Review Officer, Alcohol & Drug Testing, and Substance Abuse Evaluation training. 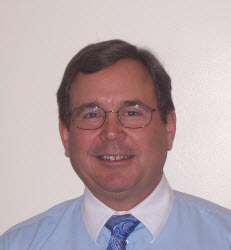 Dr. Megehee founded the TeamCME National Network of DOT Examiners in 2009 and is currently President of TeamCME. TeamCME is the nation’s largest network of National Registry Certified Medical Examiners. TeamCME is an Accredited National Registry Training Organization providing the Accredited Physician training required for Certification in the National Registry of Certified Medical Examiners to over 5,000 Medical Examiners. Kimberly Hyatt, CA has served as the TeamCME Program Manager of Drug and Alcohol Services for the past ten years. She has added responsibilities for all aspects of the TeamCME program. 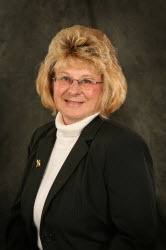 Mrs. Hyatt has 27 years of experience in drug testing and medical laboratory procedures. She was Client Service Manager at Interpath Laboratory, Inc for 17 years where her focus was on drug collection training, collection services, and client/physician relations. Kimberly has also presented instruction and accredited providers as DOT Certified Urine Specimen Collectors, DOT Breath Alcohol Technicians and DOT Alcohol Screening Test Technicians. She is TeamCME’s instructor of DOT Supervisor Training programs for public and private motor carriers and the transportation industry. She also supervises the TeamCME online Alcohol and Drug Accreditation training for physicians and their staff. She is the administrator for the TeamCME Random Drug Testing program for TeamCME member’s clients numbering over 800 motor carriers. David Thorpe, DC DACBOH is an instructor of the DOT Medical Exam Training course that is presented at TeamCME conventions. He is a Diplomat and President of the American Chiropractic Board of Occupational Health that promulgates the Occupational Health Diplomat program for the Chiropractic profession., He is the author of “The DC and the DOT” medical examination desk reference. David is founder, president and CEO of WorkRite Safety, an occupational consulting company whose focus is on the prevention and management of work related injuries and compliance issues. Dr. Thorpe is a past president of the ACA Council on Occupational Health, The American Board of Chiropractic Specialties, and the Council on Chiropractic Guidelines and Practice Parameters. Jen joined TeamCME in 2014 as an Administrative Assistant. Her duties include management of Dedicated Member Webpages, National Account Billing, the Online Store, Current and New Member Accounts, TeamCME.com Website Maintenance,, 3bExam Coordination, and she is a DOT Urine Specimen Collector and DOT Breath Alcohol Technician.